As any person who has attempted to lose weight knows, getting rid of extra pounds is often very difficult or even next to impossible…it's no surprise that North America is currently facing an obesity epidemic! The multitude of shakes, powders, pills, and supplements on the market all come with lots of promises and claims, but only a select few have proven extracts that can deliver noticeable weight loss results. If you are reading this, you are likely at least considering trying Phenocal. Perhaps you have seen the impressive photographs of users who have successfully transformed their bodies and read their inspirational stories. Maybe you have also learned about the many benefits of the product. Now, you likely still have one key question you need answered: "How exactly does Phenocal work?" Made with scientifically studied ingredients, Phenocal is an all-natural yet highly effective formulation that provides powerful results…in fact, it's one of the top-rated weight loss supplements on the market! You would be hard-pressed to find a natural weight loss formula that is as comprehensive as Phenocal. Each and every capsule has a blend of over 20 ingredients selected for their ability to provide significant or even astonishing results without causing shakiness or energy crashes! There are three key benefits of Phenocal that can help users quickly and safely reduce that number on the scale. Many people account for their excess weight by saying they have a slow metabolism. Without a doubt, a person's metabolic rate does partially determine their size and how much fat gets stored inside the body. The term "metabolism" collectively refers to all of the chemical reactions inside the body that must occur to ensure a person's survival. 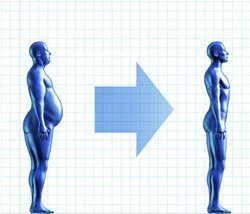 The relationship between metabolism and weight is easy to understand. If someone has a high, or fast, metabolism, that individual requires more calories to complete the necessary chemical reactions in the body compared to somebody who has a low, or slow, metabolism. If a person's metabolism gets fast enough, an adequate number of extra calories will be burned to create a calorie deficit, which is needed for weight loss to occur. Phenocal has a number of metabolism-boosting extracts. * They help your body constantly burn more calories, regardless of whether you are exercising or sitting at your desk. * Perhaps the most notable metabolism-boosting extract in the Phenocal formula is Fucoxanthin. This pigment that is naturally occurring in different types of seaweed and algae revs up a person's metabolic rate by increasing the core temperature inside the body. Clinical studies have found that Fucoxanthin can produce extraordinary results. 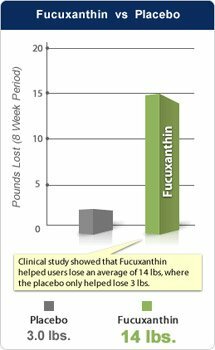 In one investigation, obese women who took Fucoxanthin lost an average of 14.5 pounds in 16 weeks. Women who took a placebo only lost three pounds on average in the same timeframe. The majority of the weight lost by the subjects who took fucoxanthin was body fat, and their metabolic rate sped up by almost 18%. These results are nothing short of ASTOUNDING! While actually losing weight is hard, the math is quite simple. You need to take in fewer calories than you burn, and eating less is perhaps the best way to accomplish this. Creating a calorie deficit can be extremely difficult, however, if you are always hungry and constantly dealing with snack food cravings. Another extract found in Phenocal is Hoodia Gordonii, which has been the focus of a number of scientific studies. A potent appetite suppressant, this ingredient can help you resist cravings for late-night snacks and fight the urge to munch between meals. * Last, the chromium picolinate in Phenocal has a regulating effect on insulin levels that reduces cravings for sugary and starchy foods. To get a leaner body, it is essential to both limit calorie consumption and burn off the calories in the foods you eat. The third and final piece of the weight loss puzzle is exercise. Regular physical activity speeds up weight loss, builds muscle to naturally rev up your metabolism even more, and promotes optimal overall health. Most people trying to lose weight know they should exercise, but may struggle with finding the needed energy. The developers of Phenocal investigated numerous natural extracts believed to increase energy levels without causing the types of side effects linked to the use of harsh stimulants. Then, they selected only the most potent ones, including cocoa extract and vitamin B12, to include in Phenocal. The energy-boosting all-natural ingredients in Phenocal can enhance alertness and make it easier to get the motivation to both complete a daily workout and exercise at a high level of intensity. * Giving everything you've got each and every time you hit the gym will burn more calories and maximize your results! Because it has three beneficial effects, Phenocal is a cut above most other natural weight loss supplements on the market. * Many weight loss products made with stimulants merely shock the body with huge doses of caffeine. This is not an ideal long-term approach to weight loss if you want to shed pounds in a healthy and safe manner, and the physical effects of too much caffeine—including shakes and jitters—can be quite unpleasant. 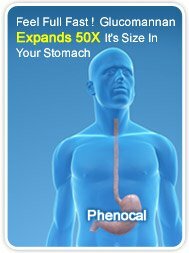 Phenocal will help you limit your calorie consumption, find the will to eliminate late-night binges on diet-derailing foods rich in fat, sugars, and starches, increase your energy levels, and speed up your metabolism.